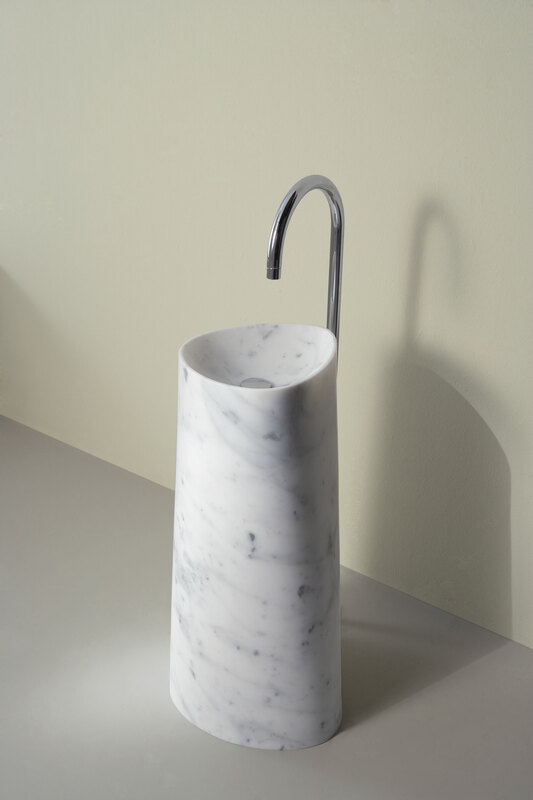 The client asked for the design of a freestanding washbasin, targeted mainly for public buildings, such as hotels or restaurants, without leaving aside domestic places. They wanted a singular washbasin, one that doesn’t go unnoticed. 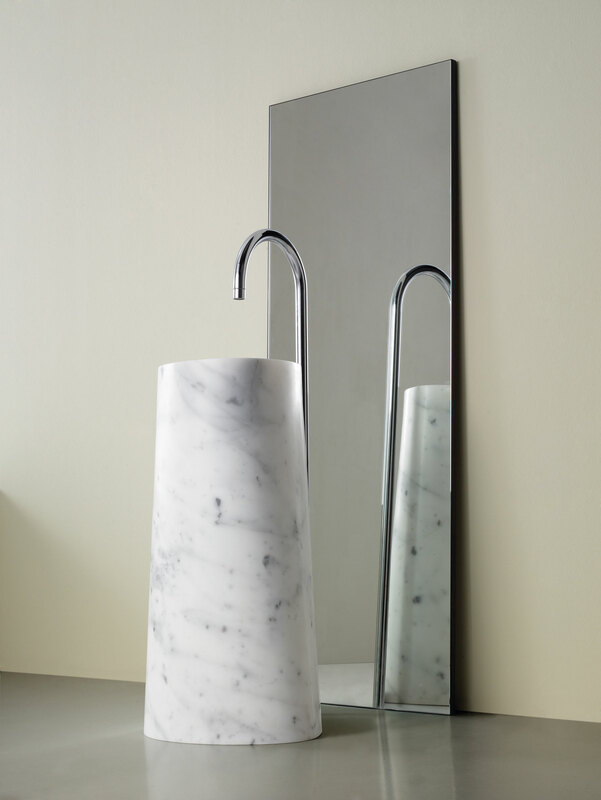 In Faro there aren’t symmetries or front side, at least until you install the tap, so the washbasin becomes a decisive visual reference, a piece around which the bathroom revolves. 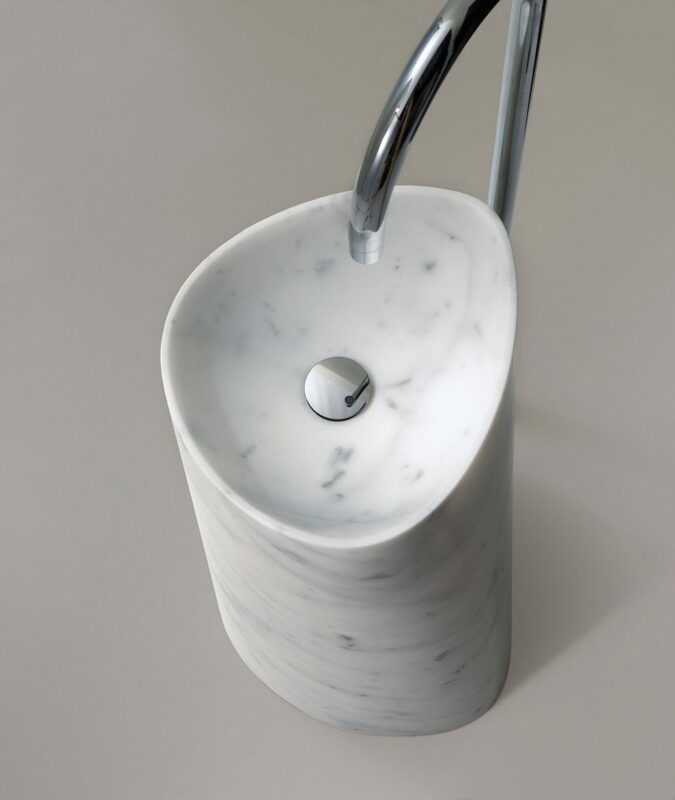 It is made of natural stone, reinforcing the sculptural character of the design.